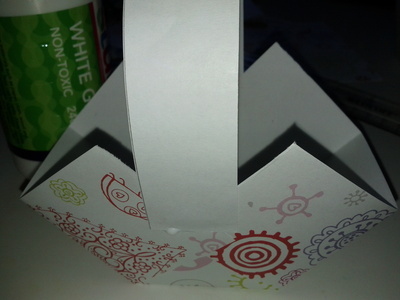 This is a paper basket for the kids to make for their easter egg hunt or to keep their easter eggs and candies. 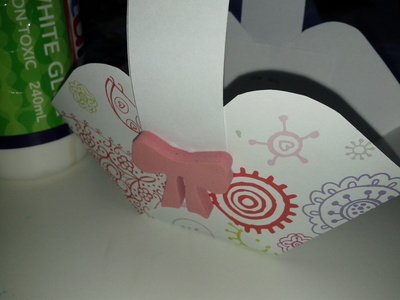 These baskets are really easy and fun to make. 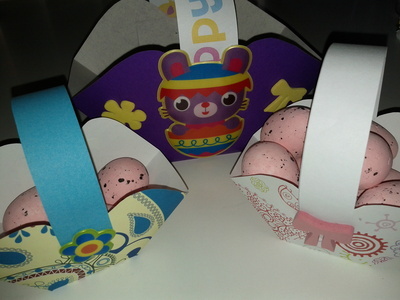 They are also very cute and you can make them in different sizes. 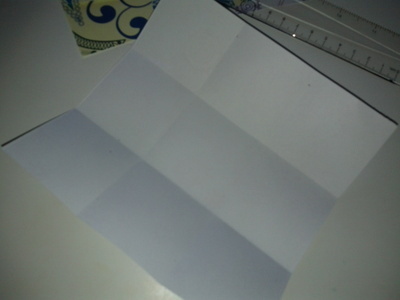 Fold your squared paper into 3 equal parts, horizontally and vertically (to make sure it's exact, measure with a ruler). For the demo, I used a 15cm squared paper. 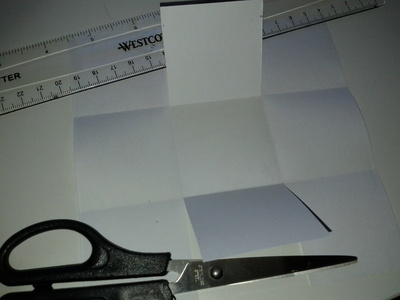 Cut both vertical creases until the middle square as shown in the picture. 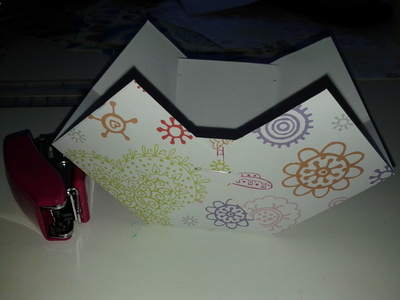 Fold both flaps to the centre and staple. 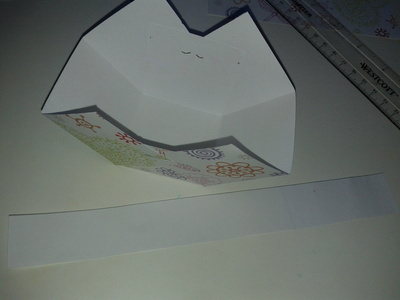 Glue your paper strip (20cm x 2.5cm) to make the handle. You can round the pointy edges if you want. 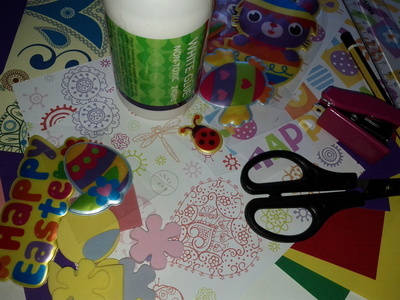 Then decorate your basket with stickers or foam papers as you like. The baskets are now ready to be filled with easter eggs.